Could Your Home Get Sold Without Your Knowledge? "You need to know the mortgage companies are not your friend," says one homeowner whose house what put up for auction. In this tough economy, millions of Americans are trying to avoid losing their homes. But are big mortgage companies really willing to work with you to avoid foreclosure? 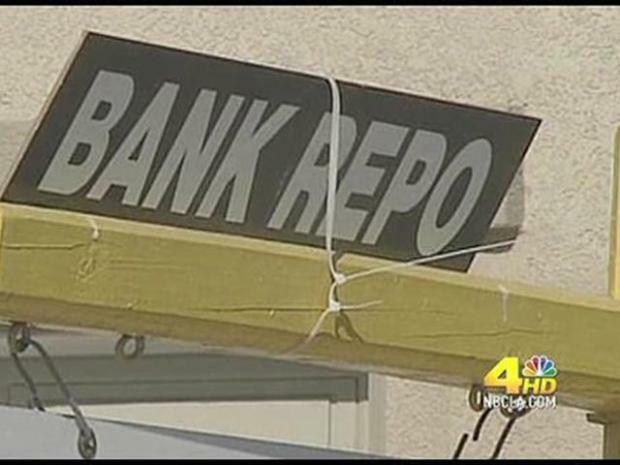 NBCLA has learned that if you are behind on mortgage payments, your mortgage company might auction off your home without even telling you. Consider the case of Mark and Brenda Kohn of Thousand Oaks. They're now packing up their longtime home because they got slapped with a three-day notice to vacate. Someone bought his home at an auction authorized by GMAC, one of the nation's biggest mortgage companies. Surprisingly, GMAC admits that it didn't formally notify the Kohns their home would be auctioned on Dec. 3. "GMAC certainly ripped the house from beneath me," said Mark Kohn. Like so many people, Mark Kohn hit hard times this year, and couldn't make his mortgage payments. GMAC began foreclosure, and notified the Kohns that their home would be auctioned on Nov. 3, 2009. Joel Grover investigates a home foreclosure where the house was auctioned off even though the buyer had arranged for it to be sold. "We know nothing else but this home. This is our roots," said Mark Kohn. So to avoid foreclosure, the Kohn family put their house on the market, and sold it in one day, for a profit. Mark Kohn sent proof of the sale, signed by the buyer, to GMAC. So GMAC agreed not to hold the Nov. 3 auction. "We were going to make money on the home. We were going to have enough money left over to move on with our lives," said Mark Kohn. But a month later, on Dec. 3, potential buyers came knocking on the Kohns' door, asking if they could look around the house because it was going to be auctioned off that afternoon. In fact, hours later, the home was auctioned off at the Ventura County Courthouse. GMAC admits to NBCLA that it didn't officially notify the Kohns their home would be auctioned off that day, and that it didn't have a legal obligation to do so. "You need to know the mortgage companies are not your friend," said Mark Kohn. Experts say it's not uncommon these days for mortgage companies to auction off homes of people who are behind on their payments, without telling them or without giving much notice. "It is common, unfortunately," said Lori Gay of Los Angeles Neighborhood Housing Services, which provides free foreclosure-prevention counseling. Gay says mortgage companies are so overwhelmed with the huge volume of foreclosures these days, they often can't return customers phone calls. "The system can't handle the work. It can't handle how many people are calling in, placing the demand on it. Meanwhile, families are losing their homes," Gay said. GMAC confirms that on the morning of the Dec. 3 auction, Kohn's lawyer did call the mortgage company to talk to a supervisor, and try and get the auction canceled. But GMAC says all supervisors were assisting other customers, and the auction just went forward. "GMAC regrets the outcome for the Kohns; however we feel we acted legally..." GMAC said in an e-mailed statement. The mortgage company also says it made multiple efforts to reach the Kohns before the auction. But Mark Kohn says the only calls he got were automated messages from GMAC's collection department. So how does a desperate homeowner avoid having their home auctioned off without warning? 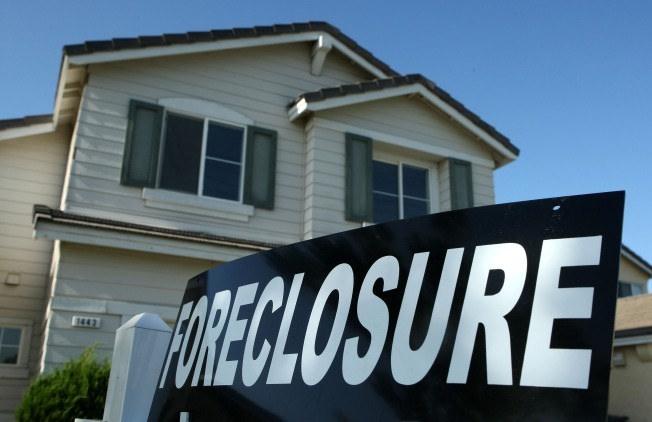 If you're in foreclosure, there are non-profit and government agencies that provide free foreclosure prevention advice. You can find these services online (here and here).